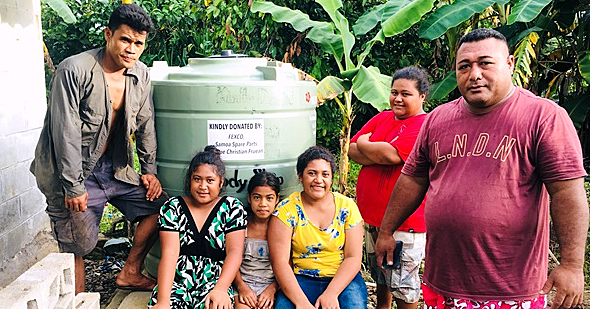 Soul Reggae group, The Culture Crew, and non profit organization, Pacific Heart arrived in Samoa on schedule last Friday just as Cyclone Gita was about to make her solo debut wreaking havoc around the township of Apia. As a result the Soul Reggae band’s plans altered slightly as they shifted gears and added cyclone cleanup to their travel itinerary. On Monday they found themselves chipping in with some extra hands to help a family in Pesega. “We ended up cleaning up a house by the Mormon temple in Pesega, it was a family friend. It was a random thing that happened but it set the tone for everything else to come,” said band member Sam Schultz. While their management team in Samoa and hotel staff at Taumeasina Island Resort warned band members to stay indoors. The group heeded their advice and as soon as the green light was given, continued with their adjusted schedule to visits to schools and villages. “We also went and visited a village and did a clean water display and gave out 50 clean water filters there,” said Sam. 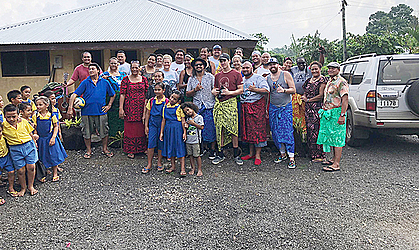 While Mr. Schultz admitted that they wished they could do more to help out in the short span of time they are in Samoa, the group was looking forward to providing a different kind of relief, one where the locals could take time out to enjoy some good vibes and take stock of the good things in life. Mr. Schultz told the Samoa Observer that their culture fest concert yesterday was dedicated to Samoan singer Ben Vai who recently passed away this week from cancer. 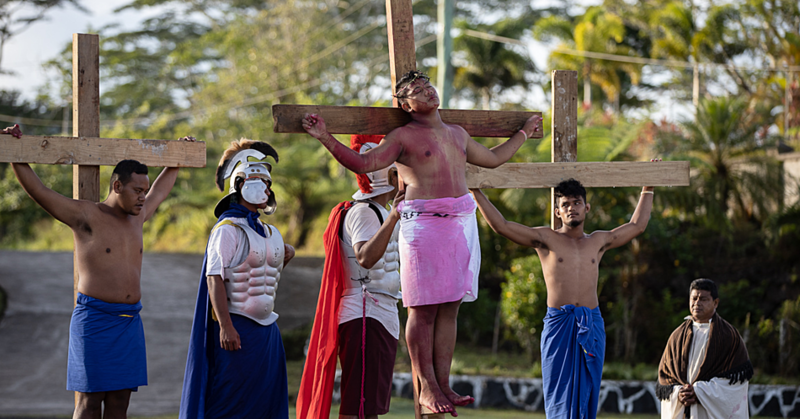 The two groups were scheduled to head to Savaii today but because of the issues arising from the cyclone they are unable to go, instead they have committed to perform for another two events with the Samoa Tourism Authority wine and food festival and a special performance this Saturday at the Taumeasina Island resort. 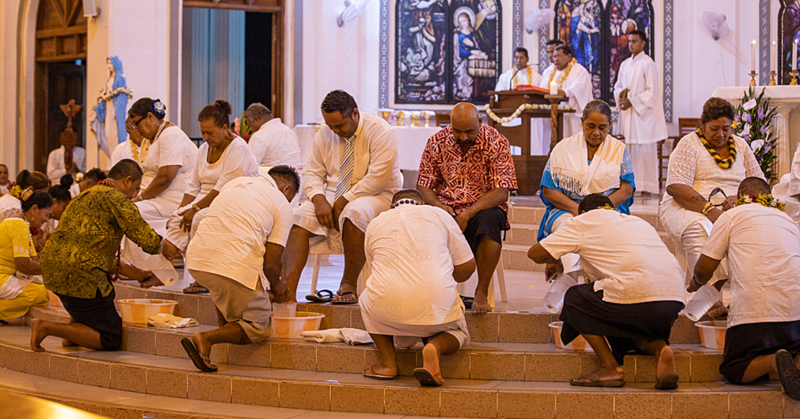 Culture Crew will then continue their tour to American Samoa after the weekend.